yongning, originally uploaded by mutikonka1. About 20km north from Lugu Lake is the small market town of Yongning. 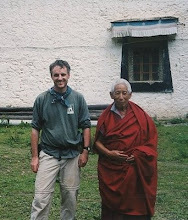 This was a speacial place for Joseph Rock, who was good friends with the local tulku, or head monk, of the Yongning monastery. 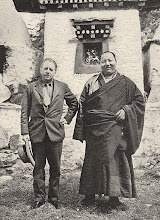 In his biography, it is said that the tulku was one of the few real friends that Rock ever had. 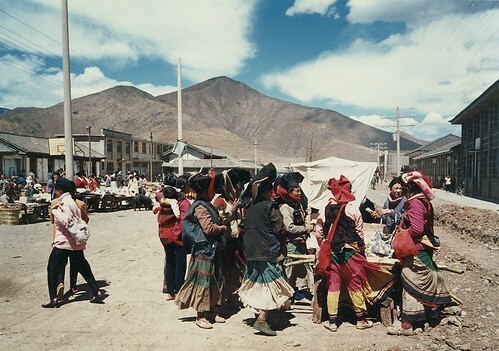 Yongning is a melting pot of different nationalities - mostly Mosuo but with Naxi, Mongol [from the emigrations of the 13th century] and as this picture shows, many Yi people. Nowadays Yongning is a one street town with the rebuilt Zhamei Si monastery as its main attraction.